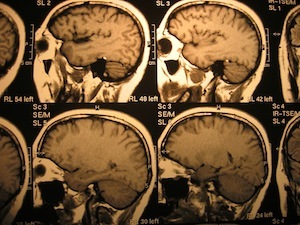 HAVE YOU SUSTAINED A TRAUMATIC BRAIN INJURY IN AN ACCIDENT? Traumatic brain injury (TBI) is a medical term that describes extraordinary damage to the brain or the brain stem (central nervous system, or CNS) that is suffered as a result of a tragic trauma. Traumatic brain injuries, or brain damage, can cause loss of language, loss of comprehension, loss of consciousness, concussion, headaches (cephalgia), seizure, and dizziness (vertigo), and treatment needs to be provided by neurologists, neurosurgeons, and, possibly, specialized psychologists (neuropsychologists). In traumatic brain injury cases, your attorneys need not only know the law, but they need to also understand the medicine and how it affects both you and your family. If you or a loved one has sustained a traumatic brain injury, you require medical assistance and legal assistance as well. Our expertise in this field stretches over decades, and we would carefully analyze not only the liability situation that unfortunately caused the injury, but also explore thoroughly the complex and difficult nature of the injury so that it can be explained properly either to an adjuster, a defense attorney, or to a jury. Even in a simple car accident, a brain injury can result, and traumatic brain injury cases require that you see a neurologist so that you can be thoroughly evaluated with a CT scan and/or MRI scan that may reveal undetected brain injuries.